You won’t want to miss our December 2nd meeting! presented by Michael Kaplitt, M.D., Ph.D.
Dr. Kaplitt is a board-certified neurosurgeon and is the Director of Movement Disorders at Weill Cornell Brain and Spine Center. He is consistently named to lists of top physicians in New York, and has received several prestigious awards, including the Young Investigator Award from the American Society for Gene Therapy. 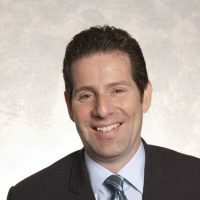 He has been featured on the Charlie Rose Show, Good Day New York, Business Insider, and other media for his work in essential tremor and movement disorders.After participating in the focused ultrasound clinical trial, Dr. Kaplitt was the first physician in New York to offer Neuravive after FDA-approval for focused ultrasound was obtained. He currently serves on the editorial board of several prestigious scientific and medical journals, including the Journal of Neurosurgery – widely considered to be the most important in the field. AT THIS MEETING: Participants will be educated on all treatment options offered for essential tremor with an emphasis on the new Neuravive procedure that relies on MR-Guided Focused Ultrasound. You should expect to gain meaningful insights on Neuravive clinical trial results and hear patient experiences. NOTE: Neuravive is the brand name given to the focused ultrasound treatment for essential tremor by the equipment manufacturer, Insightec.